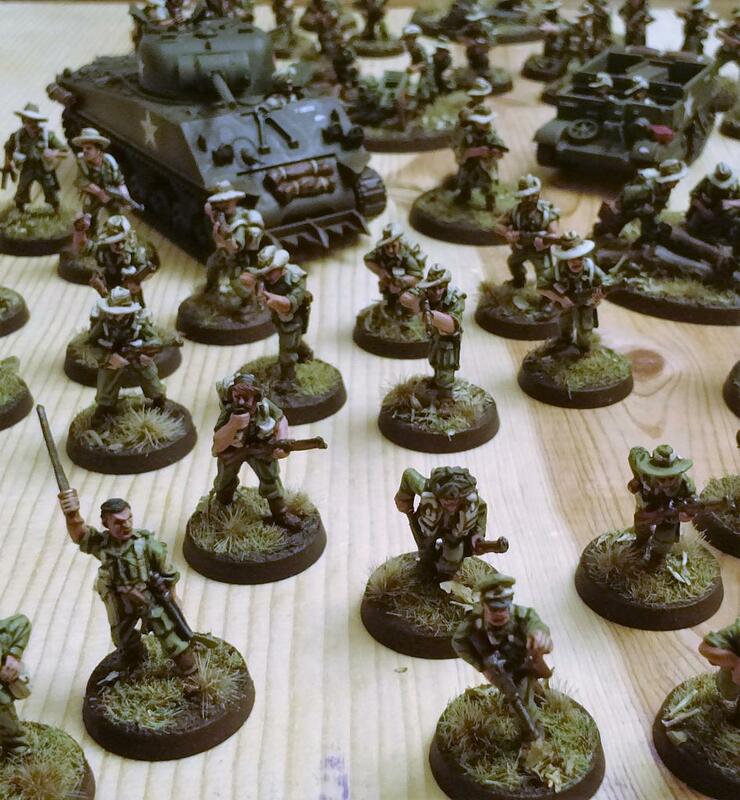 This week saw me finishing the last of the of the Bolt Action Chindits, the Medic. I now have a main 1250 pt. list with several different build options depending on the game. With Operation Sting just a few days away, I finished this army just in time. With so many other projects on the horizon, I am not sure when I will return to the Chindits. Make no mistake, I will be using them often for games of Bolt Action but right now, I have all the units I wanted to build and paint. Next up for me is another batch of Infinity buildings for a terrain commission. As you know, I am not the biggest fan of Custommeetple products but I’ve agreed to do one last batch for the client. After that, I am not sure what I will start. I have some Sheiks and winter Germans for Bolt Action, a couple more Arena Rex models, Blood and Plunder on the way and SAGA is looking more and more tempting by the day. For now, I am happy to give the Chindits a rest for a while. I am pleased with the final result and cannot wait to test them in a five-game tournament at Operation Sting this weekend.